Wednesday, February 26, 2014 at 3:02pm. Mozilla's space, requires an employee to be present but otherwise the space is open for any user groups or hackathons. The guest WiFi requires a password. Entrance on Couch St. in the middle of the block next to Peet's coffee. Mozilla is on the third floor. Meet Mozilla for an evening of networking and great conversation! Hear from some of the great creators behind the Firefox Browser, learn what the Mozilla future holds, and meet and mingle with our teams. Appetizers and drinks will be served. News today is thick with stories of government agencies trying to find digital evidence of wrongdoing: interrogating mobile phones for evidence, tracing emails to find a stalker or looking at a killer’s search history to discover motives. Digital forensic analysis now plays a pivotal role in both corporate and legal investigations. However, few outside of the industry understand the intricacies involved in a forensic undertaking — the capabilities and limitations of the forensics investigative process, the role of the digital forensic investigator or the extent of the laws governing these actions. While the subject is dense and could certainly be expanded, this introduction is aimed at those new to digital forensics with the goal of providing a solid foundational understanding which can be built upon with self directed learning. While the talk will not cover these topics in great detail, Tiberius Hefflin will be discussing real crimes that have been solved due to digital forensics. Q: What is the parking situation? A: Ample parking is available in the Brewery blocks underground however it is not free. Join us this month for a great talk about Mozilla Web Security! As Mozilla's Enterprise Solutions Architect, Michael works across the enterprise to solve problems and help all Mozillians work at building and maintaining an open and accessible web, free and available to all. His work is focused on solutions that get information and services to Mozilla staff and volunteers — securely, efficiently, and repeatably. Michael is working on a variety of solutions to improve Mozilla's ability to deliver on their mission to protect the Internet as a global resource, open and accessible to all, and feels that he has the best job ever! Congress has recently repealed the upcoming Internet privacy protections that the FCC passed back in 2015. Those protections required Internet Service Providers (ISPs) to get permission from their users before selling user data to third parties. Now, ISPs will be able to sell our Internet browsing histories and other data to the highest bidder. But wait… You don't have to give them all of your data! You can instead use Tor, also known as The Onion Router, to encrypt your search requests and browsing activity and route your Internet traffic through a distributed network of relays (run by volunteers around the world) in order to protect your privacy. Tor prevents anyone watching your Internet connection from seeing your location or which websites you visit. It can also help you to access blocked sites. Alison Macrina, from the Library Freedom Project will be talking to both groups, Seattle TA3M and us, via teleconference. She'll explain how Tor works, how you can set it up, and how you can help Tor to make the network more secure for all users. Thanks to Mozilla for hosting! This month's paper is "The Next 700 Programming Languages" by Peter J. Landin. One of the most influential papers of all time in PL research! A family of unimplemented computing languages is described that is intended to span differences of application area by a unified framework. This framework dictates the rules about the uses of user-coined names, and the conventions about characterizing functional relationships. Within this framework the design of a specific language splits into two independent parts. One is the choice of written appearances of programs (or more generally, their physical representation). The other is the choice of the abstract entities (such as numbers, character-strings, list of them, functional relations among them) that can be referred to in the language. The system is biased towards “expressions” rather than “statements.” It includes a nonprocedural (purely functional) subsystem that aims to expand the class of users' needs that can be met by a single print-instruction, without sacrificing the important properties that make conventional right-hand-side expressions easy to construct and understand. What was the last paper you read and loved within the realm of computing? What did it inspire you to build or tinker with? Come share the ideas in an awesome academic/research paper with fellow engineers, programmers, and paper-readers. Lead a session and show off code that you wrote that implements these ideas or just give us the lowdown about the paper. Or, just come, listen, and discuss! Let [email protected] know if your company would like to sponsor dinner! Logo forked from Brendan O'Brien at Data Rescue Boston. PDXWIT Presents Love is Art: What Now? PDX Women in Tech is and always will be an inclusive and supportive organization. As a result of the recent Presidential election, many of our members raised their fears and concerns regarding what negative impacts may arise in our communities, cities and nation. We are coming together to create art inspired by inclusion and love, while we discuss what's next, including how we can organize ourselves to provide support for those that need it. We will kick off the event at 5pm with food and Meg Aul, the PDXWIT Event Activities Director, will begin the art project. Megan Bigelow will lead the discussion beginning at 5:30. Feel free to arrive at anytime. This month's paper is "A DNA-Based Archival Storage System" by Bornholt et al. and will be presented by Jeena Lee (@theJeenaLee). In this paper, researchers explore algorithms for storing binary data in DNA, possibly to be used as a cold storage mechanism. This is the last PDXRust meetup of 2016! Want to learn about or get help with! This month we'll have teams of PSU students telling us how they used Rust in their senior capstone projects. One is a flight controller, and the other is a formal verification system. If you'd like to know more about robots, proving software correctness, or just real-world applications of Rust, this is the meetup for you! PDXRust meets on the first Wednesday of [almost] every month, from 6-8pm, at Mozilla's Portland space. The first hour is either lightning talks from group members or a more in-depth tutorial from a Rust expert, and the second hour is hacking and social time. Papers We Love PDX: Brian Shirai on "Immix: A Mark-Region Garbage Collector"
This month's paper is "Immix: A Mark-Region Garbage Collector with Space Efficiency, Fast Collection, and Mutator Performance" by Stephen M. Blackburn and Kathryn S. McKinley and will be presented by Brian Shirai. Papers We Love has a code of conduct. Are you a Rust expert? Have you played with Rust a bit and told yourself you really should write more code in it, but never made the time? Do you just like learning about cool new programming languages? If any of these apply to you, come to the PDXRust meetup to learn more and meet others with similar interests! We meet on the first Wednesday of every month, from 6-8pm, at Mozilla's Portland space. The first hour is either lightning talks from group members or a more in-depth tutorial from a Rust expert, and the second hour is hacking and social time. Andrew Bray will discuss Collaborative coding with GitHub and RStudio server. He's in the faculty at Reed College here in Portland. This month's talk will cover some of the cool stuff you can do with Rust's type system. If you're totally new to Rust, skim the initial sections of http://doc.rust-lang.org/stable/book/ and http://rust-from-a-scripting-background.readthedocs.org/en/latest/ to get acquainted with Rust's basic purpose and syntax. Our April meeting will be a roughly 1-hour talk by local Rust expert Jim Blandy on Rust's ownership system. If you're newer to Rust, skim through the first sections of http://rust-from-a-scripting-background.readthedocs.org/en/latest/ and http://doc.rust-lang.org/stable/book/ before the talk to get your bearings. We meet on the first Wednesday of every month, from 6-8pm, at Mozilla's Portland space. Remember that Rust's Code of Conduct applies to this event. Abstract: Word vectors, derived by deep learning algorithms applied to billions of words of text, provide powerful semantic models of language. Code in R, demonstrating [queen] + [man] - [woman] ~ [King] to about 90% accuracy will be reviewed. Building first on exploratory "bag of words" analysis of Presidential debate texts, we'll explore, using pre-computed GloVe vectors (Pennington et al http://nlp.stanford.edu/projects/glove/), relationships like [sanders] + [trump] - [clinton] ~ [cruz] and how candidate positions align to rhetorical sentiment like [government] + [people] - [tax]. This analysis is work in progress. We'll also test empirical limits (aka failed experiments). Active feedback is both sought and welcome. For our November meeting, Jim Blandy will be presenting his OSCON Amsterdam talk Concurrency in Rust! By comparing a seemingly simple problem's implementation in an older language to Rust's performance, Jim makes his subject matter accessible to new Rust users while remaining useful to experts. Join us in #pdxrust on irc.freenode.net (http://webchat.freenode.net/)! This meetup occurs on the first Wednesday of every month, from 6-8pm. October's meeting will be at Mozilla's Portland space. What will happen at the meetup? Good question! That's largely up to attendees! • Has learned something cool about Rust that they think would be useful to others. After the lightning talks, we have about an hour of hack time so you can sit down and work on your Rust project in a room full of others who enjoy the language. Parking near the building can be scarce. The Mozilla office is close to the 11th&Couch stop and 10th&Couch stop on the NS streetcar line, and within walking distance of several bus lines. Covered bike parking is available in the courtyard that you cross to get to Mozilla's building, across from the Peet's Coffee and Tea seating area. The building is mostly wheelchair-accessible, in that there are no unavoidable stairs and the outside door has an automatic opening switch. Restroom doors on the 3rd floor and Mozilla office door are not automatic. Food is not yet planned for the event. If your company would like to sponsor food for the meeting, let edunham know ([email protected], or IRC). After a few months off, we're back! On August 6th, we're going to be chatting with Abby Covert about her recent book, How To Make Sense Of Any Mess, "a book about information architecture for everybody". Abby is the president of the Information Architecture Institute, a teacher, and an independent Information Architect so you won't want to miss the opportunity to talk with her about information architecture. How To Make Sense Of Any Mess is a short, easy-to-read book that'll get you up to speed with information architecture and introduce you to some really handy tools. Please note: if you haven't finished the book but still want to come along, please do. 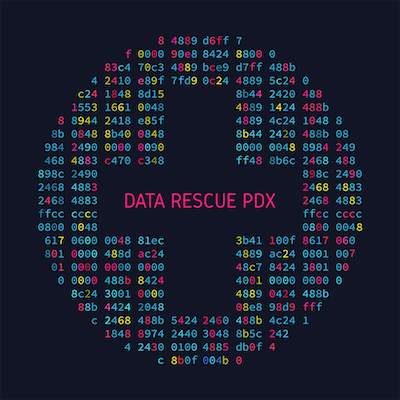 Join us at the next PDX Design Research Group meeting on Wednesday, May 20th, 2015. Cindy Merrill, Human Factors Engineer and User Experience Researcher at Intel, will discuss the design research that went into making the MICA smart bracelet. MICA is a wrist-worn wearable for fashion-oriented women, designed by Opening Ceremony and engineered by Intel. Cindy’s presentation will focus on wearable-specific questions that arose while working on MICA, the user research conducted to answer these questions, and the impacts of this research on MICA’s design. Cindy has 10 years of professional experience in user experience research and design. Besides Intel, she has also worked at the web design agency OakTree Digital in Portland. and Andersen Consulting (now Accenture) in suburban Chicago. For 12 years, Cindy served as an officer on the Executive Council of CHIFOO. Join us this month for a talk and lively discussion on "The Battle of Protecting Data". With the changing world of enterprise computing ("Bring your own device", mobile, SaaS), the corporate world is having to re-think how they do security. Bill Giard is a Principal Engineer in Intel's IT organization and is responsible for helping to lead IT's software delivery across multiple client platforms. Bill joined Intel in 1996 with a Bachelor's degree in Computer Science and has over 20 years of IT experience. Hosted by: Portland Techno-Activism Third Mondays. Refreshments provided. Join us at the next PDX Design Research Group meeting on Wednesday, January 28th, 2015! Rachel Shadoan, CEO and research scientist at Akashic Labs will give a talk entitled “Edge Case: Adventures in Hybrid User Research.” Big Data is certainly having a moment. Proponents promise that data will serve up answers to all of our most pressing questions. But what happens when all that data leads to a dead end? Rachel will tell the story of the data dead end that put her on the path from data science to ethnography--and where that path has led since. Through a variety of case studies featuring the blending of qualitative and quantitative research methodologies, Rachel will show where data shines, where qualitative research techniques are necessary, and how visualization can bridge the gap between the two. Informal networking will be from 6:30 – 7:00, with Rachel’s talk to begin promptly at 7:00. Please note: If you arrive after 7:00 pm, you will not be able to get into the building, so please plan to arrive at least a few minutes before then. Ever wonder what travel information the Department of Homeland Security maintains on you? There is a form for that. Want to know if you have an FBI file? There is a form for that. Want to know if law enforcement is setting up cell phone tracking towers in your area? There is a form for that. In this interactive session of TA3M we supply attendees with an easy way to send requests to state and federal agencies for personal and public information. Come fill forms and then speculate on what you will find out! We'll be bringing in a representative from MuckRock.com to help facilitate the public records requests and providing all the necessary pieces for requesting your own personal data. UX Book Club PDX is talking about Erving Goffman's classic "Interaction Ritual - Essays on Face-to-Face Behavior"
Come and talk to Sam Ladner, the author of "Practical Ethnography: A Guide to Doing Ethnography in the Private Sector"
Update: Brad Fitzpatrick and Nick O'neill of the Camlistore project will be attending! Let's get together and install Camlistore. Camlistore is a "personal storage system for life", similar in some ways to Dropbox, Google+, and Git. It is designed to archive personally-relevant data from sources such as your hard drive, social networks, and your mobile phone camera. Once data is imported, you can annotate and organize, query, and share. Camli is moving fast, and is currently for developers and motivated early adopters. Bonus points for installing ahead of time, so we can focus on the fun stuff and so we have more people on hand who can help with installation. Play with the awesome query interface, for example searching by image properties. Set up Camlistore on a home server, or on a VPS using S3 for storage (see this recipe). If you have a project in progress that you'd like to share, there will be time at the beginning of the meetup for 5 minute lightning talks. Add your topic below. Nick Moore will have a Raspberry Pi on hand running Camlistore. Steve Mayzak from Elasticsearch Inc. will be on hand to talk all about Elasticsearch's latest 1.0 release, including cool new features like aggregations. He'll also be going over some basics of how Elasticsearch works with Logstash for logging and Kibana for data visualization. And if we are quite fortunate some of the engineers at Mozilla will be talking about how they use the Elasticsearch ELK stack (that's Elasticsearch, Logstash and Kibana combined) to do all the things. Please RSVP on meetup.com so we order enough food. Come hungry for knowledge and noms, as we'll have beer and food on offer. If you need some time and space to get your QS project moving and you're ready to roll up your sleeves, this is the meetup for you! Bring your project and use this time to make some progress on it in the company of other QSers working towards similar goals. This is also a chance to chat how-tos with others who may have tackled the same struggles that you are having, and to talk shop about everything from making hardware, to data processing, to visualization and meaning. It can be boisterous when ideas are flowing, and dead silent as they're being applied, so be ready for both. Encryption can be easy! In this meet up we will teach you the basics of encrypting your content, then we will concentrate on making it easy for you to use crypto with **your** environment. Once we help you through the hard part, you'll be able to encrypt messages at home safely without frustration. This is a hands-on meetup with PGP. A laptop. If you don't have one, let us know and we can try to scrounge up an extra one for you. Mozilla has generously offered to host and pay for catering. The Privly Foundation organizes the event. Nicholas Restaurant will be providing party platters of hummus, meat grape leaves, and more! Join IxDA at Mozilla's new office for Dan Klyn's talk "Is It Usable Yet?" See the Homebrew Website Club Newsletter Volume 1 Issue 1 for a description of the previous meeting. Presentations start at 7pm. Come a little early to say hi. We'll also be at Mozilla starting at 6:30pm to help anyone wanting to get started by installing node and npm. BarCamp Portland 8 Volunteer Meetup! We will gather and hack on Read the Docs all day. If you've never contributed before, this is a good chance since both of the main maintainers (one of which is the original author) will be there. There will be pizza, snacks, drinks and beer provided by Mozilla to fuel folks. Snacks and drinks will be provided by Mozilla. Ben Acker will share about some awesome drawings and tales of Nodejs within Walmart Labs. there's still room for a lightning talk! This would be a great opportunity for someone to share a module they've found particularly useful or heinous. Please contact an organizer if you're interested. Faddah Yuetsu will lead a discussion after presenting Eric Gradman's JS.LA hardware talk "Node's harder side"
"Stump the Chump", a 15-minute round of anything-goes, ask any question that's been irking you about Node.js. Those williing can stand up to help answer the question in an open, friendly learning environment. "Modules You Should Know", a different module featured each month. We'd love for people to take a stab at this lightning-style talk. Learn a module, share it with us, help close that discovery gap that is growing in Node.js!